When you come across something so adorable you can't help but want to add them all to your shopping cart, you share in as many places as you possibly can. 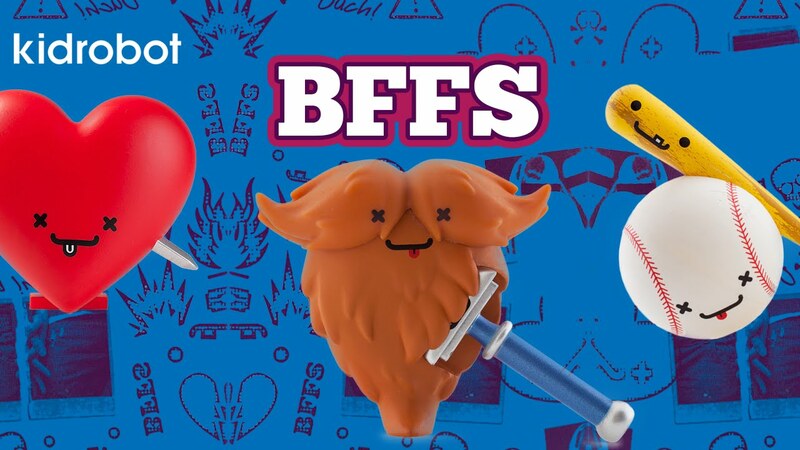 This new line of collectibles from Kidrobot and Travis Cain called BFFs come in the blind boxes you all know and love from YouTube and those fun videos your kids cannot seem to get enough of. If you have no idea what I'm referring to, hold onto your seat, because your life will forever be changed once you watch this one. These BFFs are not only adorable but they're set up to be the perfect matches that hurt so good if you know what I mean. A balloon is BFFs with a cactus. The moustache is BFFs with the razor, etc. You get the hint. See the rest and tell me which is your favorite pair, or couple, or set.